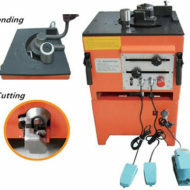 Portable rebar bending machine is a relatively small size of rebar bending machine. It has a large demand in markets. Portable bar bending machine is widely used in the field of construction and some private spheres. The small size of this machine is indeed convenient and flexible to use. Ellsen portable benders have good-looking appearances. They are designed reasonably. Although the sizes of portable bar bending machines are smaller than the normal bender machines, the functions of them are nearly the same. 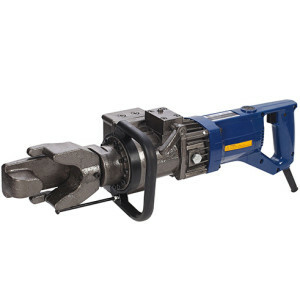 For different needs, portable benders are able to bend bars into different arcs according your operation. 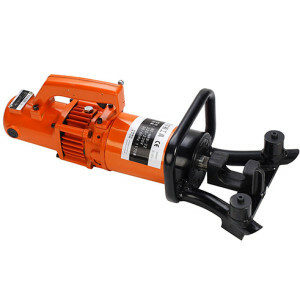 Ellsen portable rebar bender is flexible and easy to use.We supply two types of portable bar benders. One is portable electric rebar bender, and the other is portable hydraulic rebar bender. RB25 portable electric rebar bending and straightening machine . Other models are available. 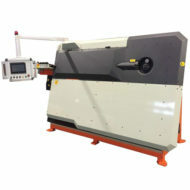 And Ellsen can also customize machines according to different requirements.